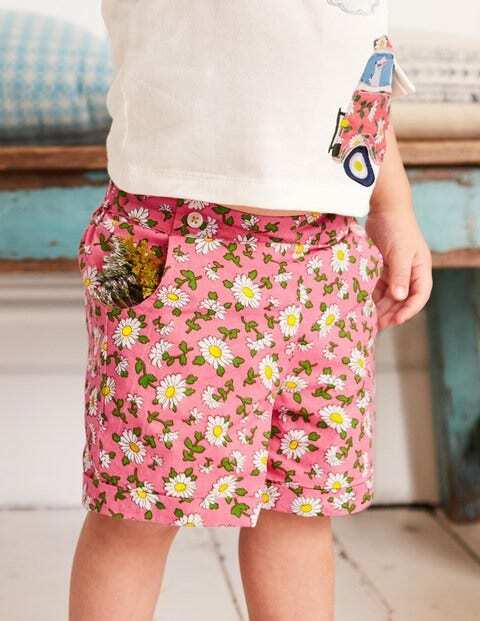 These shorts are just the ticket for little curious wrigglers. In a striped seersucker or vintage daisy print, they'll look oh-so-sweet on a hot day. They're fully lined and perfect for outfitting with our logo T-shirts for a bright sunny-day outfit sure to make your little one smile.